Amid the colonial upheaval of the 1960s, Britain urged its colony in Southern Rhodesia (modern-day Zimbabwe) to grant its black residents a greater role in governing the territory. The white-minority government refused and soon declared its independence, a move bitterly opposed by the black majority. 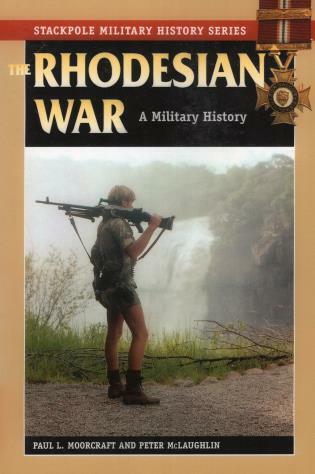 The result was the Rhodesian Bush War, which pitted the government against black nationalist groups, one of which was led by Robert Mugabe. Marked by unspeakable atrocities, the war ended in favor of the nationalists. Paul L. Moorcraft is director of the Centre for Foreign Policy Analysis in London. A noted war reporter whose work has appeared in Time and on the BBC, he is also author of Guns and Poses (978-0-9537977-3-8). He lives in England. Peter McLaughlin resided in Rhodesia/Zimbabwe from 1956 to 1983 and works in education. He lives in England.